Content marketing is a great way to drive traffic to your website from the search engines and appeal to your readers. For example if one of your articles appears on the first page of Google you’ll receive a constant flow of visitors. One of the biggest problems is that your content may be competing with other authors on the same page therefore it won’t get read. Google includes a head shot next your content in the search results. When a person is searching for information they’ll more likely click through to your website because your content stands out from your competitors. In my previous article I discussed the Cons of Using Submission Software to distribute your articles however there are also some advantages as long as you do it correctly. Most marketers want to spend more time on the most important tasks of their business such as creating new content rather than manually submitting articles which is a boring and time consuming task. 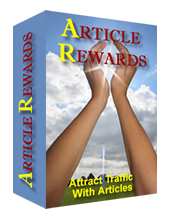 I have no doubt article marketing works as I’ve used this method for years to generate new customers for my web design business. It also helps build backlinks, raise search engine rankings and sell products. Many article marketers use submission software to blast their articles out to thousands of directories at the same time. This may get you some traffic however there are also some detrimental effect you need to be aware of. How do you make your articles stand out from the competition? How can you attract the attention of your readers? How do you create content that makes your prospects hungry for more? It’s easy to get overwhelmed by all the content on the Net. When Googling a topic you receive hundreds of choices. Only the content that is highly targeted, relevant and speaks to you gets your attention. If you are a writer you need to place yourself in the shoes of your readers and think from their perspective. Your first goal should be to create captivating article titles and secondly to maintain their attention throughout the rest of the article by offering valuable content. There is so much content on the Net these days that it’s getting more difficult to generate sales from it. Another factor is the multitude of distractions that internet users face every day that takes them away from their main focus which is building their business. Several years ago it was easier to get your message across to your audience because there was less content and distractions. You may think your current content marketing strategy is working well however you’re probably guilty of making one of these deadly mistakes. Posting Articles – Where Should You Post Articles First? So you’ve invested time into writing a an article for your niche. Now you want to get the maximum leverage out of it to drive traffic to your website, opt-in form or product. Most website owners simply submit it to article directories however this is not a good idea. A more effective strategy is to post it first to your blog then to a directory.